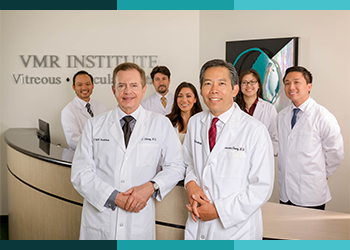 VMR Institute’s world-renowned surgeons travel the globe invited to share their accumulated knowledge and expertise. As pioneering researchers and key opinion leaders in complex conditions of the eye, they train today’s surgeons and tomorrow’s leaders. We understand what loss of sight means to our patients’ lives. Our goal is to treat the person, not just the eye. We do this by providing superior quality and unparalleled patient service with compassion and uncompromised professionalism. Our staff reflects a commitment to excellence by taking accountability and full responsibility for patient satisfaction and positive outcomes. We are conscious of your needs and are dedicated to help you improve vision and attain happiness.